Posted on April 9, 2016 by Mrs P.
The book launch for Crime Fiction in German takes place on Thursday 14th April in Swansea, Wales. 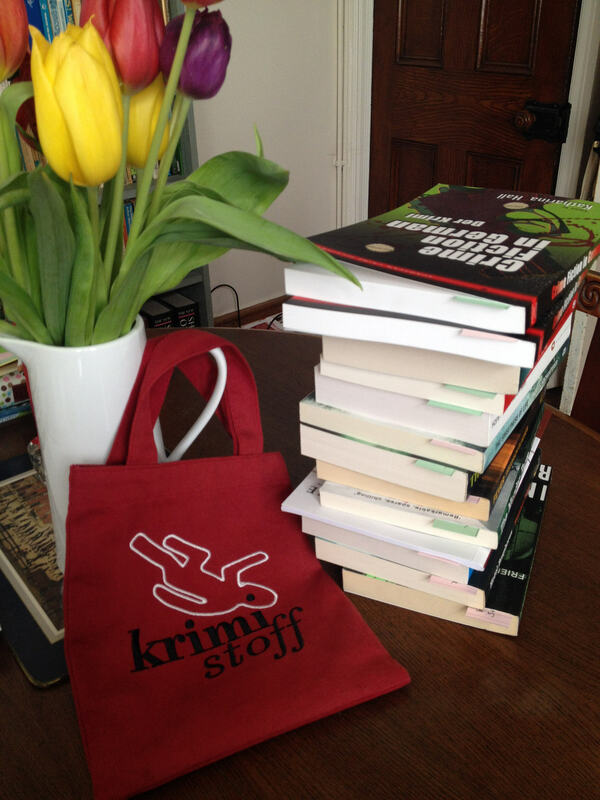 To celebrate this event, we’re having a giant Krimi giveaway. 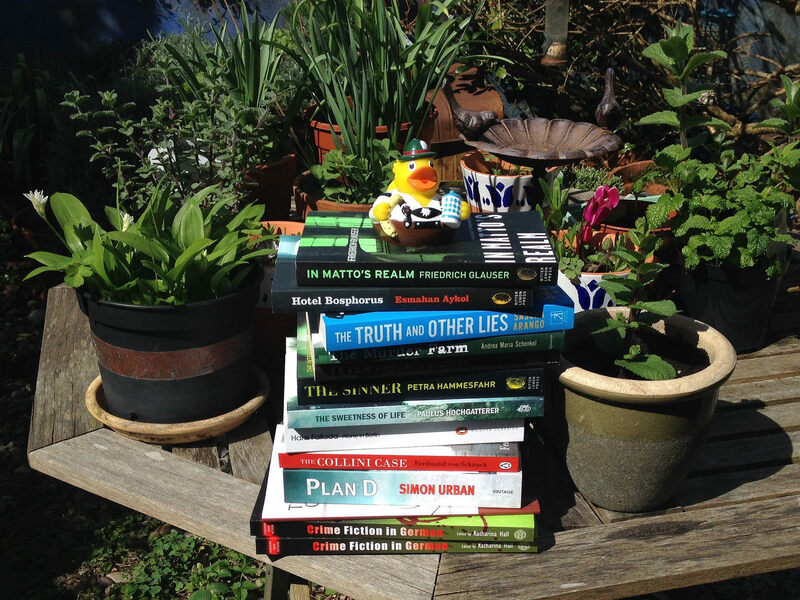 Sascha Arango, The Truth and Other Lies (Simon and Schuster, trans Imogen Taylor). A darkly humorous tale following the fortunes of the outrageous Henry Hayden. A modern-day homage to Patricia Highsmith by one of the screenwriters for the renowned TV crime series Tatort (Crime Scene). Friedrich Glauser, In Matto’s Realm (Bitter Lemon Press, trans Mike Mitchell). Originally published in 1936, In Matto’s Realm is the second in the groundbreaking ‘Sergeant Studer’ series. Studer is shown investigating the escape of a murderer from a psychiatric institution, a setting that holds a dark mirror up to Swiss society. Hans Fallada, Alone in Berlin (Penguin, trans Michael Hofman). An extraordinary literary crime novel written in 1946, based on the genuine case of Elise and Otto Hampel, who were executed on charges of treason during the Nazi regime. Recently made into a film starring Emma Thompson, Brendan Gleeson and Daniel Brühl. Auguste Groner, The Case of the Golden Bullet (Amazon, unknown trans). Groner was a pioneer of Austrian and women’s crime fiction, and created the first German-language police detective series. Joseph Müller investigates in this opening novella, originally published in 1892. Petra Hammesfahr, The Sinner (Bitter Lemon Press, trans John Brownjohn). A gripping psychological thriller and Frauenkrimi, which excavates the reasons for an explosion of violence by young mother Cora Bender one sunny summer afternoon. Paulus Hochgatterer, The Sweetness of Life (MacLehose, trans Jamie Bulloch). 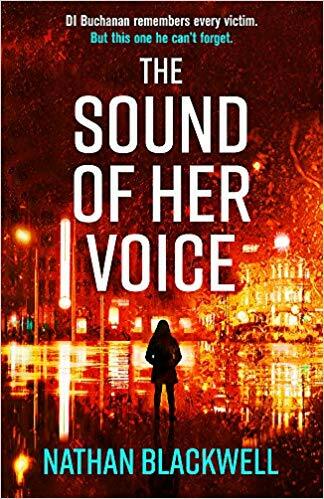 In this Austrian crime novel, Detective Ludwig Kovacs and psychiatrist Raffael Horn work on a murder case in which the only witness is a girl too traumatised to speak. Winner of the 2009 European Literature Prize. Andrea Maria Schenkel, The Murder Farm (Quercus, trans Anthea Bell). A former resident returns to a village following a family massacre, and begins to piece together events via interviews with assorted villagers. A spare, chilling tale set in rural 1950s Germany. Winner of the German Crime Prize. Ferdinand von Schirach, The Collini Case (Michael Joseph/Penguin, trans Anthea Bell). Barrister Caspar Leinen takes on a seemingly impossible case: his client, Fabrizio Collini, admits the murder of a rich German industrialist, but refuses to say why he committed the crime. A gripping courtroom drama that interrogates notions of justice. Simon Urban, Plan D (Vintage, trans Katy Derbyshire). An ambitious novel that blends police procedural, detective novel and alternative history genres. Set in a 2011 in which the Berlin Wall still stands, it explores East-West tensions as the GDR teeters on brink of bankruptcy. A biting social satire. 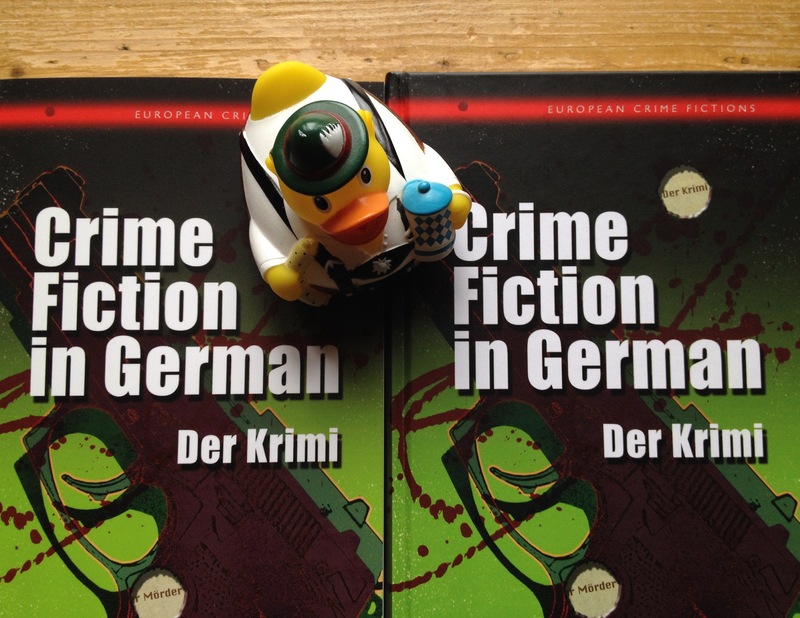 TO ENTER the giveaway and win one of the books above, write your name in the comment section along with the answer to this question –> What is the popular term for ‘crime novel’ in German? 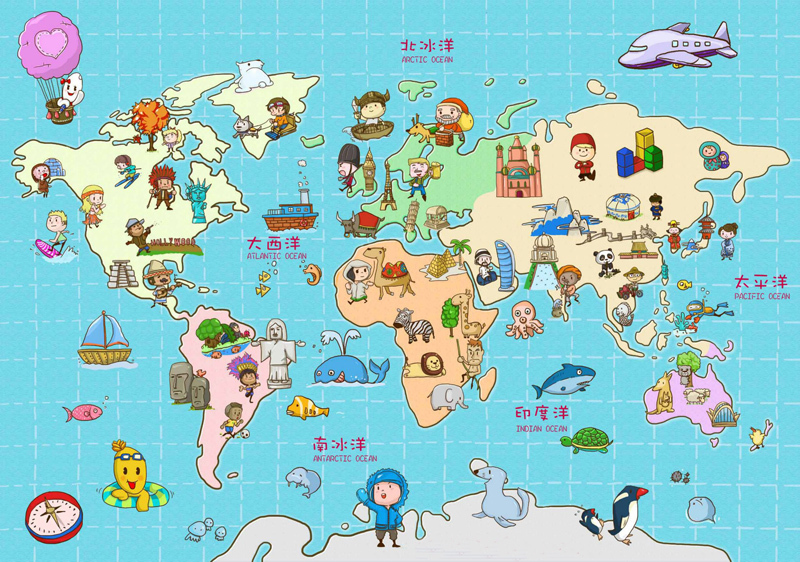 You can be anywhere in the world to enter – from Tenby or Tokyo to Tasmania. The closing date for entries is Sunday 17th April. THIS GIVEAWAY IS NOW CLOSED! See below for the winners! There was a fantastic response the Great Krimi Giveaway, with nearly 100 entries from all over the world – and amazingly everyone got the answer right ;-). Thanks to everyone who took part. 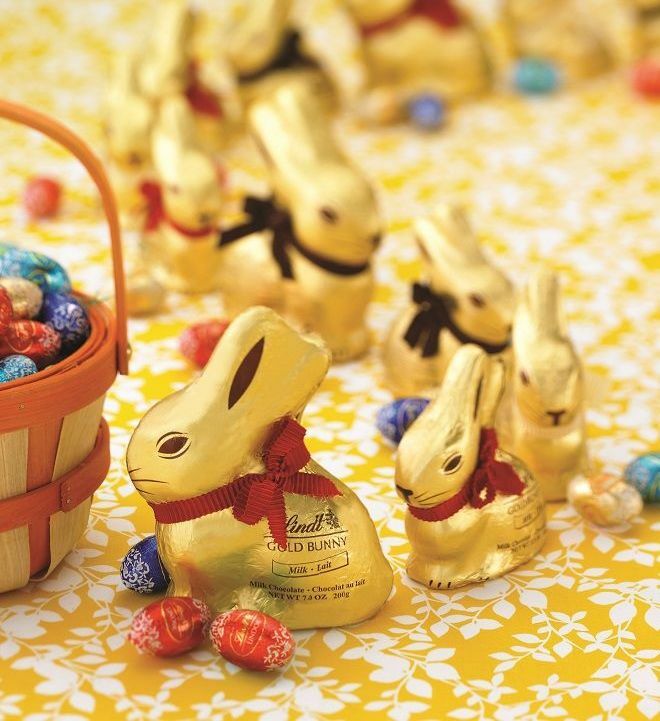 The twelve lucky winners are listed below. Congratulations! Winners – please email me your postal address and I will send your book out to you (mrspeabody68 at yahoo.co.uk). Mrs. Peabody gratefully acknowledges the generous support of the sponsors below, who have made this Krimi giveaway possible. Posted on June 12, 2015 by Mrs P.
The wonderful Deutschi Crime Night took place yesterday at Waterstones Piccadilly. The panelists were Austrian author Bernhard Aichner, German author Sascha Arango, the acclaimed translator Anthea Bell, New Books in German editor Charlotte Ryland and me, with Euro Noir expert Barry Forshaw in the chair – who did us proud. The discussion was wide-ranging and fascinating, and included the following: Sascha on his decision to set The Truth and Other Lies in a unidentifiable, universal space (like Nesser’s ‘van Veeteren’ series), in contrast to the regionally rooted writing he does for the Kiel episodes of the German TV crime drama Tatort (Crime Scene), and about the influence of Patricia Highsmith’s Ripley series on his writing; Bernhard on his creation of the ‘lovable serial killer’ Blum and the research he carried out for Woman of the Dead in a funeral home and at autopsies; Anthea on the process of translating the novel, which she really enjoyed, and on translating more generally, which she described as ‘finding the author’s voice’. 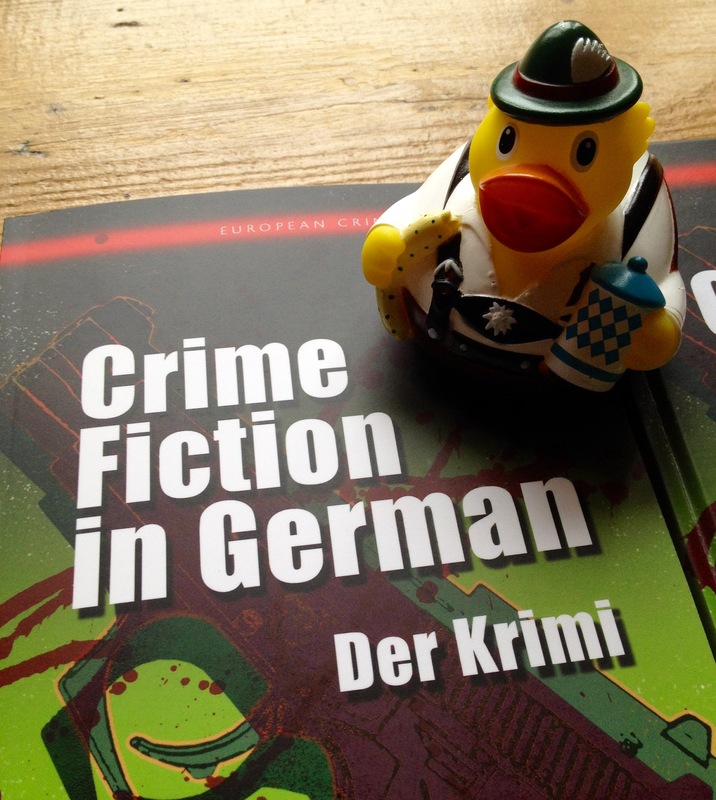 Barry also kindly gave me the opportunity to talk about the Crime Fiction in German volume, which is out in March 2016 and will provide the first comprehensive overview in English of German-language crime from its origins in the 1800s to the present day. I’ve set up a tab about the volume here, and you can see further details on the University of Wales Press website. The volume is part of the UWP ‘European Crime Fictions‘ series, which already contains volumes on French, Italian, Iberian and Scandi crime. 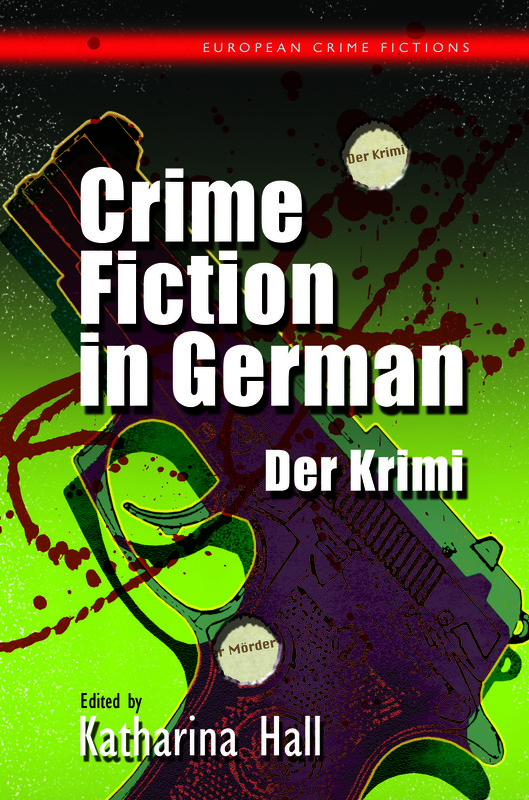 The cover for the Crime Fiction in German volume has just been finalised and looks gorgeous. I love the psychedelic green (Schwarzwald on speed?) and the lashings of blood. And just look at those clever little bullet holes. Posted on June 6, 2015 by Mrs P.
Not just one, but two seriously page-turning Krimis from the German-speaking world have crossed my path recently. Woman of the Dead (Totenfrau, trans. Anthea Bell/Orion 2015), by Austrian writer Bernhard Aichner, features an unforgettable heroine/anti-heroine, the motorbike-riding undertaker Brünhilde Blum. She is a woman with a secret, who, when her beloved husband is killed, starts dealing with the case in a highly individual way. 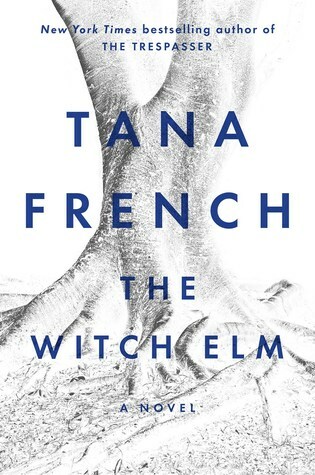 This fast-moving thriller is an extremely readable mash-up of Austrian and American crime. Its setting is recognizably Austrian (Innsbruck and the Tyrolean countryside), and its bleak assessment of Austrian society echoes other crime narratives such as Elfriede Jelinek’s Greed (Gier, 2000). At the same time, the book draws on Lindsay’s Dexter, Tarantino’s Kill Bill (‘the bride’) and Larsson’s The Girl with the Dragon Tattoo (Lisbeth Salander) – influences that might allow it to be viewed as ‘feminist noir’, the subject of this recent The Mary Sue post. 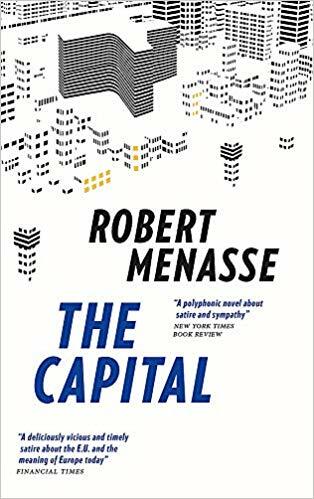 I was gripped from start to finish, although I did find the novel’s moral framework and its call to empathize with a killer rather unsettling at times. I’ll be very interested to see where the next book in the ‘Blum trilogy’, House of the Dead, takes our highly unusual investigator. 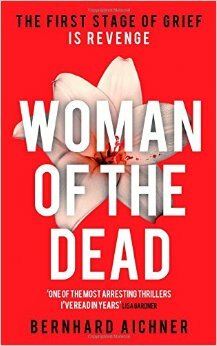 You can read an extract from Woman of the Dead here. 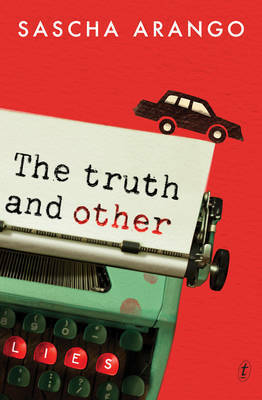 Sascha Arango’s The Truth and Other Lies (Die Wahrheit und andere Lügen, trans. Imogen Taylor/Simon and Schuster 2015) is equally compelling and features another off-the-wall protagonist, Henry Hayden – a famous novelist whose comfortable life begins to unravel after he makes a fatal error. Hayden is a darkly comic creation whose story involves a wife, a mistress and a floundering police team, and keeps the reader effortlessly engaged throughout. Intriguingly, even though Arango is a screenwriter for the German TV crime series Tatort, which has a strongly regional flavour, his novel has an international rather than a specifically German feel. The characters’ names sound English, American, German, Dutch, Swedish or eastern European and there are barely any discernible geographical markers. In literary terms, the obvious influence is Patricia Highsmith’s Tom Ripley, but I was also reminded of Ingrid Noll’s blackly humorous novel The Pharmacist (Die Apothekerin, 1994), whose protagonist carries out a series of crimes to smooth her way to a prosperous middle-class life. Like the latter, Arango’s Truth is a stylish, witty and entertaining read. You can listen to an audio extract here. 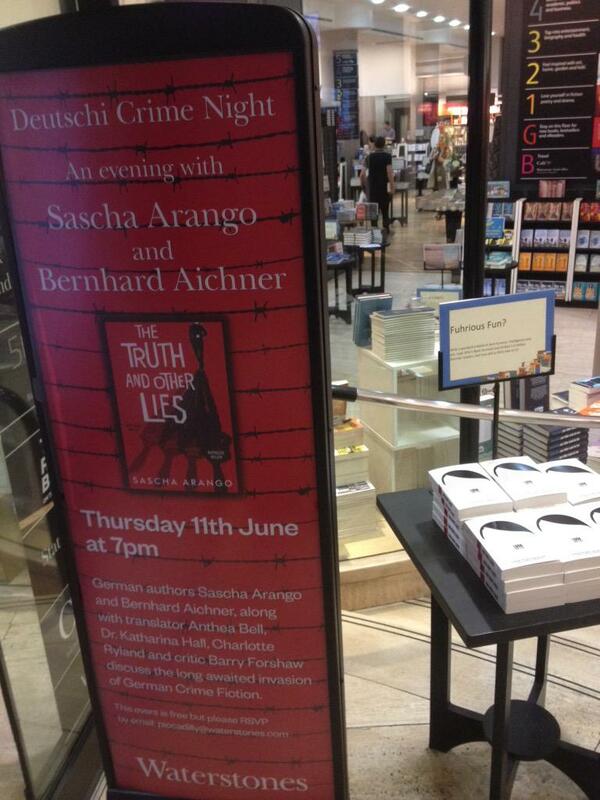 Both Bernhard Aichner and Sascha Arango will be appearing at the Deutschi Crime Night at Waterstones Piccadilly next Thursday, 11th June at 7.00pm, with Barry Forshaw (moderating), Anthea Bell the translator, Charlotte Ryland from ‘New Books in German’ and yours truly. The event is FREE and all you need to do if you’d like to come along is RSVP piccadilly@waterstones.com. You can find out more info here. Should be lots of fun! Posted on January 30, 2014 by Mrs P.
In a change to my normal academic routine, I’m embarking on research leave for a whole, glorious semester. 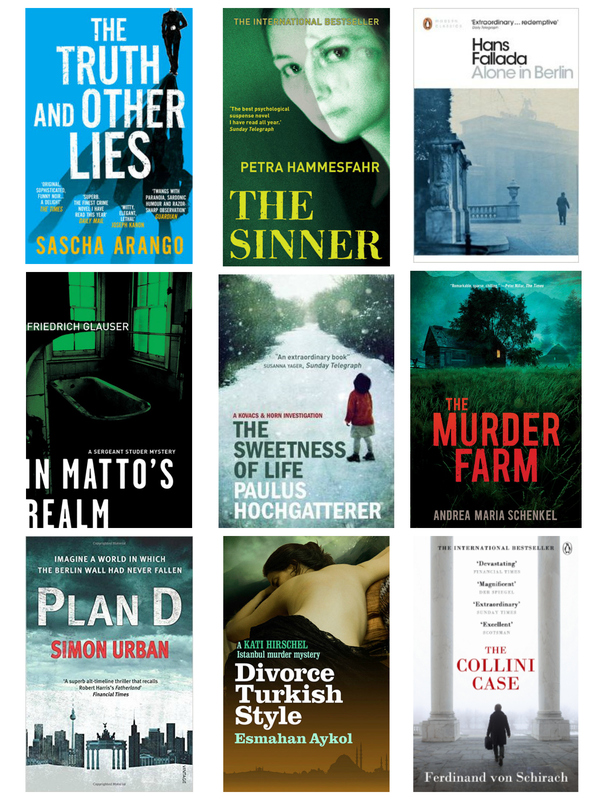 The chance for this kind of leave comes around every three to four years, and is really invaluable, as it provides time to build up some proper momentum – in my case for writing up research on German and international crime fiction. I’ll be focusing on two key projects. The first is a book, Detecting the Past: Representations of National Socialism and its Legacy in Transnational Crime Fiction. As the title suggests, it will explore how crime writers have depicted the Nazi period and its post-war legacy since 1945, exploring themes such as criminality, morality, justice, memory and guilt in larger historical, political and social contexts. One key area of interest is how ‘Nazi-themed crime fiction’ reflects the work of historians on the period. A recent example is David Thomas’ Ostland (Quercus, 2013), which draws on perpetrator studies by historians such as Christopher R. Browning to create a portrait of an ‘ordinary man’, police detective Georg Heuser, who comes to play an active part in the Holocaust. A compelling ‘psychological thriller’, the novel is also a sobering depiction of the mechanics of the Holocaust, and of the attempts to bring perpetrators to justice in the 1960s. It’s an excellent example of how history and the findings of historians can be made accessible to a wider public by harnessing the conventions and popularity of the crime genre. Incidentally, details of the 150 primary texts I’m working on can be found here – a number of which have been discussed on this blog over the past two years. 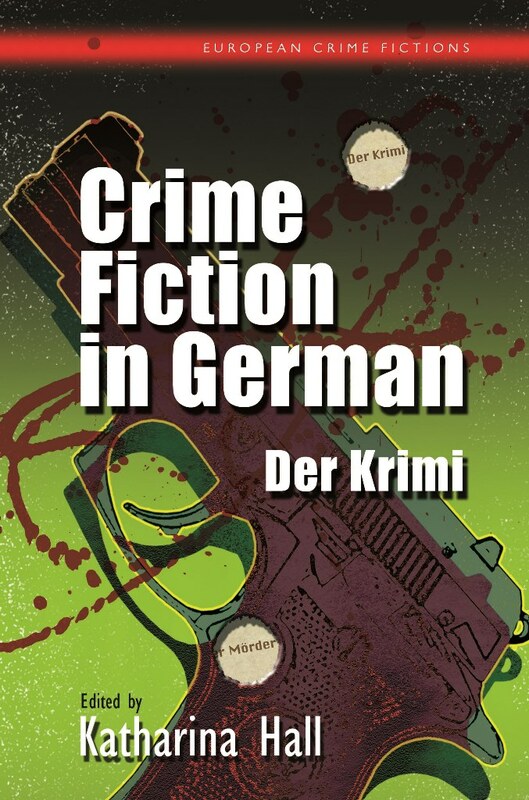 My second project is to finish editing Crime Fiction in German, a volume of essays for the University of Wales Press, which will act as an introduction to the subject for an English-language audience. As well as exploring the development of crime fiction in Germany, Austria and Switzerland from the nineteenth century onwards, the volume examines German-language crime from a number of different angles: the crime fiction of the former GDR; regional crime fiction; women’s crime fiction, historical crime fiction; Turkish-German crime fiction; and the enduring popularity of TV series such as Tatort (Crime Scene). It’s the first time this kind of comprehensive overview will have been published in English, which is very exciting. The volume will join others in UWP’s European Crime Fiction series, such as French Crime Fiction (2009), Scandinavian Crime Fiction (2011) and Italian Crime Fiction (2011).